October 16, 2018 – Zain Kuwait, the leading digital service provider in the country, announces a strategic partnership with Samsung and Al Babtain Turnkey Solutions to employ Internet of Things (IoT) solutions to accelerate the nation’s digital transformation. This collaboration will facilitate the development of smart education, smart health, smart security and smart mobility solutions in line with Kuwait National Development Plan's smart government goals. The Memorandum of Understanding (MoU) was signed during GITEX Technology Week 2018, in which Zain Kuwait participated showcasing its B2B and Smart City offerings. Under the terms of the MOU, Samsung, as a global leader in innovation, will support Zain Kuwait in driving transformative and beneficial IoT innovation to create exciting opportunities for consumers and enterprises alike. Present at the signing ceremony were Chung Lyung Lee, President at Samsung Gulf Electronics, Mohammed Gharaibeh, Samsung’s Regional Director, Enterprise Business Group, Eaman Al Roudhan, Chief Executive Officer of Zain Kuwait, Hamad Al Marzouq, Chief Enterprise Business Officer of Zain Kuwait and Mohammad AbdulAziz Al Babtain, Vice President of Al Babtain Turney Solutions. 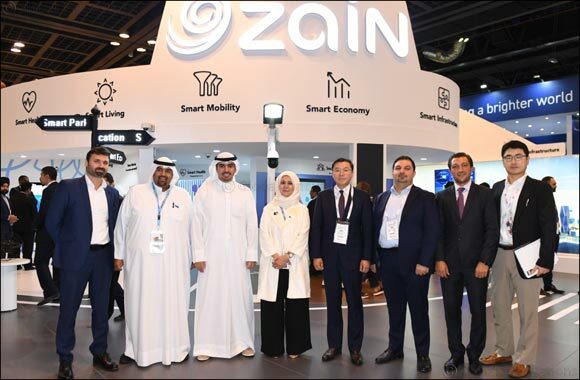 Eaman Al Roudhan, Chief Executive Officer of Zain Kuwait, said: “We are pleased to expand our partnership ecosystem with global technology companies like Samsung to enhance our IoT capabilities. We have started launching our first waves of digital products within our Zain Life brand that we launched in April this year to promote the digital lifestyle of our consumers. We have also set the foundation to empower the achievement of our country’s vision (New Kuwait 2035), and this MoU will definitely be used to support it”.